In 1054 AD, during the Song dynasty, Chinese astronomers spotted a bright new star in the night sky. This newcomer turned out to be a violent explosion within the Milky Way, caused by the spectacular death of a star some 1600 light-years away. 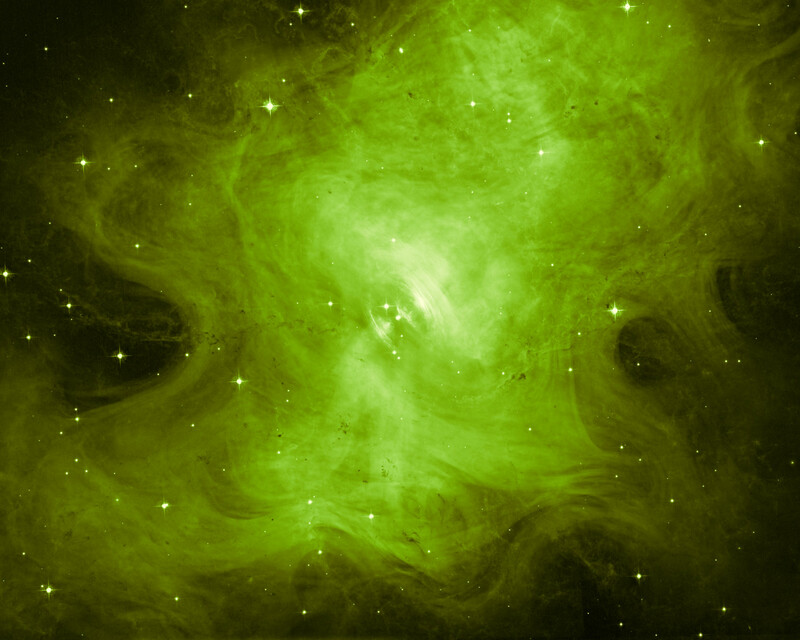 This explosion created one of the most well-studied and beautiful objects in the night sky — the Crab Nebula. The beautiful result of this cataclysmic Type II supernova is shown here, imaged by the NASA/ESA Hubble Space Telescope’s Advanced Camera for Surveys. Unlike more commonly seen views of this remnant (heic0515), which show incredibly intricate branches and spires laced throughout the region, this image uses just a single filter, giving rise to a smoother and far simpler view of the famous nebula. The unstoppable collapse of the Crab’s progenitor star led to the formation of a rapidly rotating neutron star named the Crab Pulsar, which lurks at the heart of the nebula. This object is roughly the same size as Mars’ small moon Phobos, but contains almost one and a half times the mass of the Sun, and whirls around thirty times every second. 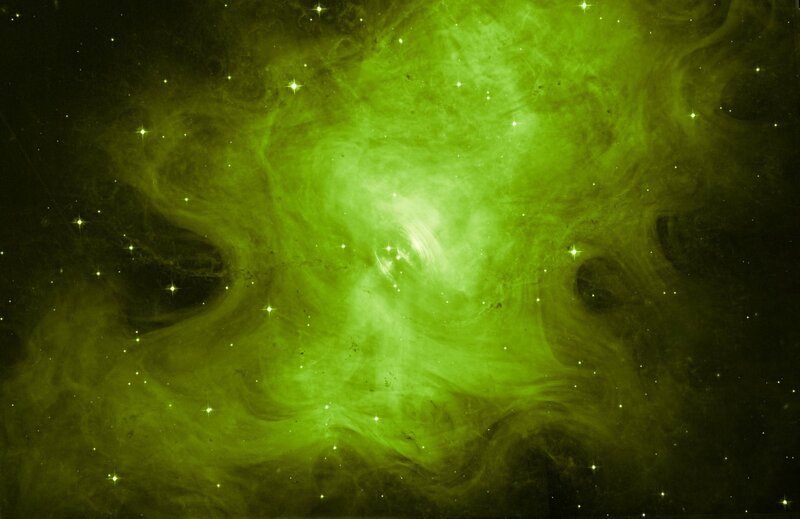 This causes jets of high-energy radiation to periodically sweep in the direction of Earth, like the spinning beams of a lighthouse, causing the Crab Nebula to appear to pulse at specific wavelengths. 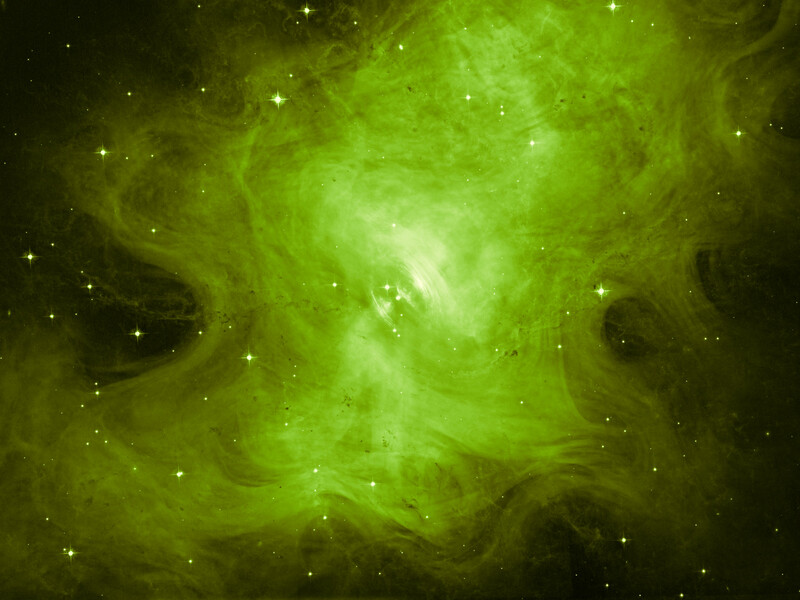 The Crab Nebula is also known as NGC 1952 and Messier 1. The second of these names was assigned by Charles Messier. He initially misclassified the nebula with Halley’s Comet but soon he realised that the object did not move. Hence he decided to call it M1 as the first object of a catalogue of objects that look like comets but are not. Position (Dec): 22° 0' 51.81"